Bulk Buy and Save 10%! There is Strong Evidence from Dermatologists in the USA and UK that the Chemicals in Standard Diapers 'contribute to thousands of cases of Baby Diaper Rash every year'. Even Better than that, we Guarantee that after 7 days with Beaming Baby Diapers, Your Baby will not suffer from Diapers Rash, or we'll give you Your Money Back! 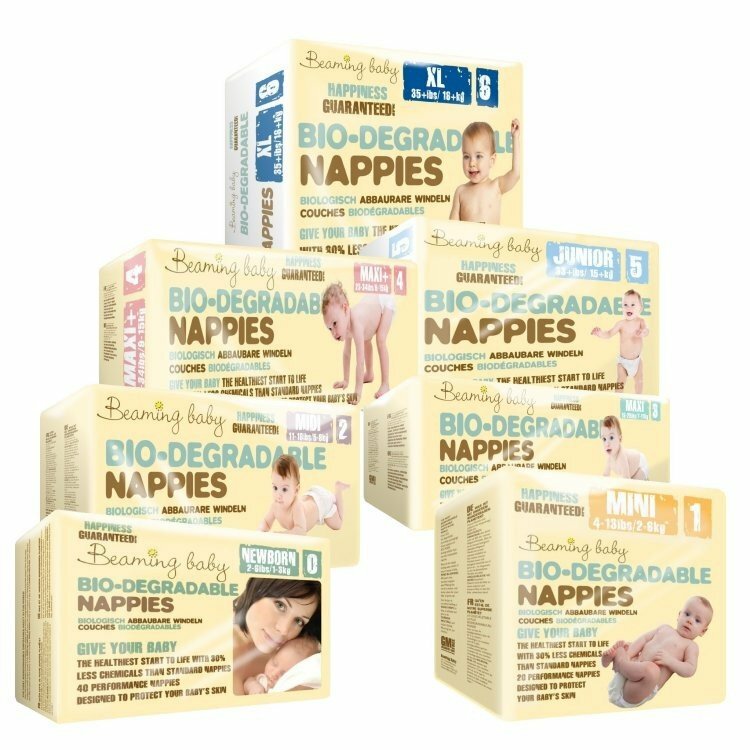 OVER 77% BIO-DEGRADABLE, (including the packaging) that's 53% more bio-degradable than standard disposable diapers and 33% more bio-degradable than eco-disposable diapers; this is the Most Bio-Degradable Disposable Diaper in the World.